The Hopkins Chess Club held the 2019 CT State Grade Chess Championships on January 19th, 2019 in Heath Commons. This is the third year in a row that the club hosted a chess tournament. 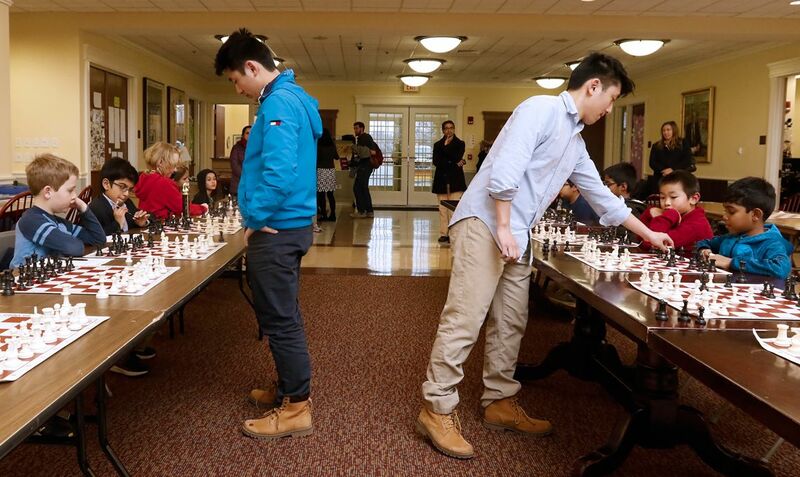 The first year in 2017 attracted 60 attendees and this year's tournament attracted 400 attendees including 160 players representing 30 schools from all over Connecticut. Chess Haven, a 501(c)(3) non-profit organization dedicated to bringing the educational benefits of chess to the classroom, sponsored this event. 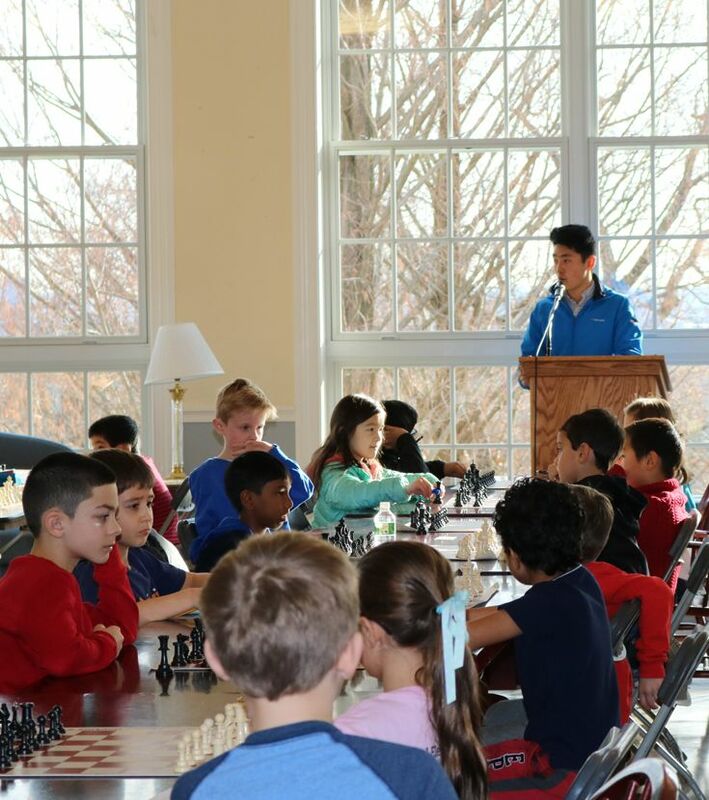 Pictured above: 2018 U.S. Open Scholastic Champions George Wang and Jake Wang hosted a chess simultaneous exhibition against 11 other tournament participants, including the 3rd Grade State Champion and the runner-up 6th grade State champion, after they hosted the State Championships. They went 11-0 against these aspiring young players. Photo by Peter Mahakian.